After traveling to São Paulo for the first time I can say it is one of the most interesting cities in Brazil. It is a city filled with all the vibrancy of Brazilian culture as well as other international ones. It is a great place to get away from the tourist cities like Rio and Salvador and truly experience the hidden gems of a Brazilian megacity. Before traveling to São Paulo I would say it is important to take a couple of steps to prepare. Since São Paulo is not a tourist destination, there is no guarantee that someone will speak English everywhere you go. In part my positive experience came from the fact that I took an hour each day to learn basic phrases in Portuguese. You'll be surprised how friendly the locals are if they see you took the effort to learn their language. I would also advise others to do some research on Brazilian cultural customs. For example, as a girl the big one for me was realizing Brazilians and Americans see personal space differently. We, Americans, like 3 feet of personal space and get defensive if someone enters it uninvited. Brazilians on the other hand will hug and kiss someone they just met as their form of greeting. Keep this in mind when you think every guy is trying to pick you up because he is so close to you.Finally, contrary to what I read, most of the activities I did can be done on a budget. I stayed at a local hostel and the people were beyond friendly. It is nothing like staying in an American hostel. Finally, contrary to what I read, most of the activities I did can be done on a budget. I stayed at a local hostel and the people were beyond friendly. It is nothing like staying in an American hostel. Sao Paulo is a livewire, a hub of activity. The best part is since it is not a typical tourist destination prices for activity are very low, if there is any cost at all especially the feet on the ground type tourism. After all, a quality conversation with a local costs you nothing. If you are in to dancing be sure to check out Samba Saturdays. Samba is a traditional Brazilian dance and most bars play Samba music on Saturdays. A friend told me the best place for samba was Bar Samba so I went there and I had a blast. It was amazing to see how good the locals were at dancing. The number of quality museums in Sao Paulo is testament to how Sao Paulo is a hub of Brazilian culture. Being an art lover, my favorite museum was Museu de arte de Sao Paulo (MASP). It has the largest collection of fine art in all of Latin America. The best part about my visit was I happened to go on a Tuesday and it was free! Another great museum is the museu Afro-Brasil. This museum gave me a deeper appreciation of the Brazilian culture and African heritage. For fans of soccer, or futebol as it is known locally, there is the museu de futebol. No need to say Brazilians take their futebol seriously. The whole country follows the national team every 4 years during their quest for the FIFA world cup. You can always find an informal “pelada” game going on at Parque Ibirapuera, Sao Paulo's largest green space. The Latin American Memorial is yet another landmark Sao Paulo highlight. It is composed of several buildings all designed by legendary Brazilian architect Oscar Niemeyer, which are works of art themselves. The buildings include a library, a research center, and the Brazilian center of Latin American studies. I spent a few hours here soaking up the struggles of the Latin American people and it gave me a new perspective on Latin American culture. For those on a tight budget the beautiful and creative street art throughout Sao Paulo rival some of the best museums and walking the streets is always free. If you don't want to walk you can rent a bike and utilize the over 30km of car-free bike space to get around town although, be warned, you sometimes have cars encroaching on you! The shopping in Sao Paulo was another thing that amazed me. You won't find any retail chain stores outside of shopping centres, but you will find several markets around town that sell anything you need. I had tons of fun browsing the markets for little hand-crafted trinkets and haggling with the sellers. I was thankful I took the time to learn the language a little bit so I was able to fully experience the markets. 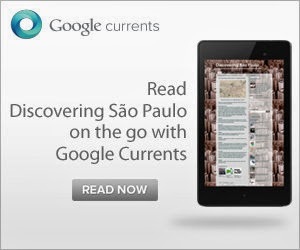 There are a ton of great places to eat in Sao Paulo. I could fill a whole article on the different restaurants I ate. What's important is experiencing the different styles of cuisine unique to Brazil. The first is the Padarias, which is the Brazilian version of a bakery. Locals come here to enjoy fine Brazilian pastries while enjoying locally grown coffee to get their day going. If you want cheap and organic produce and meats to make your own meals then the CEASA is a must-visit. It is the largest food market in Latin American at 7.5 million square feet. You'll find everything your taste buds could want there. Another dining style unique to Brazil is the churrascaria. This is similar to the concept of the American buffet. You pay a flat fee to be seated and it is all you can eat. The difference is waiters bring you the food fresh from the kitchen instead of there being a buffet table. Oh, and there’s a lot of meat! These are just a few of the dozens of things to do in Sao Paulo. I got the sense you can visit 3 or 4 times and still experience something new about the city. I found that doing things like going to the museums and the local markets were a cheap way to enjoy the city and gave me a richer experience than visiting one of Brazil's many tourist towns. So, learn some basic Portuguese, familiarize yourself with the differences between American and Brazilian culture, and book your flight to Sao Paulo! It truly is one of Latin America's most underrated travel destinations. Bio: Natalya Pobedova is a travelling nomad and backpacker from beautiful Brno Czech Republic. She is 27 and makes a living as a freelance web developer to support her traveling needs. She also runs a budget flight search website for backpackers as a hobby: http://www.travelsiders.com/. She dreams of visiting Cuba and speaks Portuguese fluently. She visited 14 countries already and most of them are in Asia and Europe. Pre-Carnival in SP: Our favorite "Blocos"